On November 29, SAP hosted a discussion with Geoffrey Moore, the well-known author of "Crossing the Chasm", who has written a new book - "Escape Velocity: Free Your Company's Future from the Pull of the Past." Moore has been a consultant to SAP in the past, so it is understandable that he framed most of his comments at the company's Hillview Speaker Series event on how to apply the book's principles to SAP's business. However, the message which Moore describes in his introduction, that globalization is driving a need to question the working assumptions of successful businesses, is applicable in any industry. The implications for an SAP or Oracle will also flow down to suppliers throughout the Information Technology (IT) ecosystem, from large computer manufacturers to mobile device designers to companies creating the chips and software that run them. Starting with the "Bigger Picture" for IT, Moore said that in the past enterprise IT was about building the "great systems of record", and in the last decade virtualization has been the lead idea, motivated by reducing cost. In the mean time, greater innovation has taken place in consumer IT, he said, so that now many enterprises are looking at how to transfer those innovations to corporate IT. Moore referred to this trend as the "enterprization" of consumer IT. Companies, and their employees, want an enterprise Twitter, an enterprise YouTube, an enterprise Google search and Facebook, just as they use in their personal lives. Asked by the moderator how this will play out in Silicon Valley, which she referred to as a "special place" and home to most of these technologies, Moore commented that Silicon Valley is a "perceptually entitled" part of the world. It is a problem, said Moore, that these companies are very consumer focused and U.S. centric, and this causes a disconnect that is painfully hard to bridge. The Googles and Facebooks have set the bar for the user experience, but businesses need enterprise class solutions, which creates enormous opportunity for SAP and Oracle according to Moore. In the mobile industry, this trend is referred to as BYOD - or Bring Your Own Device. In Moore's view, middle managers were never served by the "systems of record", which were more for the transaction worker who employed static views of the business. Middle managers have a greater need for immediate access to information, not a report, on any device at any time. 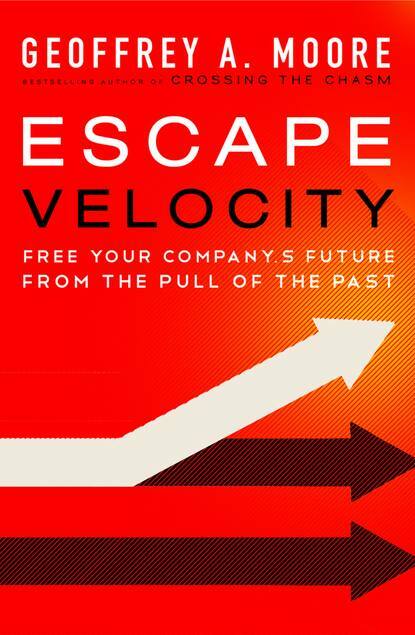 The title of Escape Velocity refers to the problem that large companies get caught up in performance commitments. The end result, Moore says, is that resources tend to get consumed supporting legacy businesses, so that they are not made available for innovation. To outline a set of solutions, Moore constructed a framework to describe "Hierachies of Power" in business. This model is reminiscent of Harvard professor Michael E. Porter's Five Forces that shape strategy, but is more internally focused. Moore says that his hierarchy of five powers starts with the broadest, which takes the longest to show results, going down to the most focused and immediate. Category Power - derives from the demand for products and services you produce. Company Power - how powerful is your company within its segment? Market Power - which markets do you play in, and how valuable are they compared to others. Offer Power - how successful are your offers? Execution Power - how successful are you at executing your offers? Using the example of SAP, Moore said the company has high power in the Enterprise Resource Planning (ERP) category, but it's not a segment that will see further breakout growth. However, innovation for a company in a mature business can be based on rethinking an existing category, more than entering a completely new category, he said. In describing market power, Moore emphasized the importance of global and vertical alignment. In verticals, Moore said that SAP is well aligned, while offering the interesting remark that Cisco is not. With globalization as a theme of his new book, Moore went on to say that, in this century, the U.S. will no longer be the greatest driver (China). He emphasized that growth will be driven more in the developing economies, especially China. Moore said that tech companies will inherit business dynamics that require "playing away games". In treating these remarks as if they were a new prescription for business, Moore seemed unaware, or perhaps just skeptical, of the global perspective that is already well in place at most if not all Silicon Valley technology companies. He quipped, attributing the joke to John Cleese (though that is not verified) - "if Britain held a World Series we would invite other countries". Offer power, according to Moore, is the differentiation of what you produce. In mature categories it is not so important to be highly differentiated, he said, because by then customers have sorted it out. However, in dynamic categories the offer rules. Moore gave Apple as an example, saying they achieved a unique feat of delivering new compelling offers in three categories. For SAP, Moore proposed that HANA, a system for real-time in-memory computing, can fundamentally transform the offer that they bring to market. The key execution power idea is hard for large companies, said Moore. The challenge is, "when you decide to do something different can you take it far enough to get to the tipping point?" He stated that until that is achieved, no other measure of a project's performance matters.. not revenue, nor profit or how many users you have. It is a mistake, he said, that fledgling initiatives get held to a series of metrics before enough adoption has been achieved to get to the tipping point. Companies that have a charismatic leader, such as Steve Jobs. Companies that go through a "near death" experience, like IBM under Lou Gerstner. BMC software, and the transition to cloud computing. NVIDIA, (saying he had visited the company that morning), for adapting to the need to compete with AMD, who was integrating the GPU into an SoC. Once again Moore cited Cisco as a bad example, saying that it takes executive leadership, but you need to pare down the number of initiatives you pursue, to get down to just one or two. To achieve "Escape Velocity", Moore says that company leadership must be capable of making "asymmetrical bets". The asymmetry arises from what he calls a "lead first, manage second" approach. This can't be done during the budgeting process, and ideally is done one quarter before, he said. Management should be aware that they only have 2-4% of company resources to play with, and unless they are focused you end up getting something like the infamous Yahoo "Peanut Butter Manifesto", i.e. being spread too thin. To back up asymmetrical bets, companies must be willing to have all executive and employee compensation based on success of the initiative. The larger your company is, according to Moore, the less disruptive the initiative has to be... it just has to be transformative. Competitors will not be able to match the commitment to an asymmetrical bet, he said, but when you "peanut butter" it becomes easy for competitors to follow. An asymmetrical bet is not betting the farm, it's betting next year's seed corn. Moore was asked how to resolve the choice between internal R&D and Mergers & Acquisition (M&A) to move into a new category. His advice was that the larger a company is the harder it is to do organic innovation. His recommendation is that organic innovation is a good way to enter a new category, but at a certain point look for an acquisition to "bolt something on" to grow to the tipping point. Radical differentiation, such as the examples given of Apple and the iPod, iPhone, and iPad. Neutralization innovation, for which he gave as an example Microsoft. For Moore, radical differentiation means creating value that is beyond compare. This is to be contrasted with neutralization, where it is more important to be quick enough and just good enough. Moore's example here was how Google responded to Apple's move into the mobile space with Android. At least initially, Android wasn't close to a match for the iPhone, but it was good enough and to market fast enough to neutralize. The lesson here for incumbent market leaders comes from Nokia, as Moore said, "the one who didn't do anything". The largest manufacturer in the cell phone industry is now "on the bubble" because they didn't neutralize. 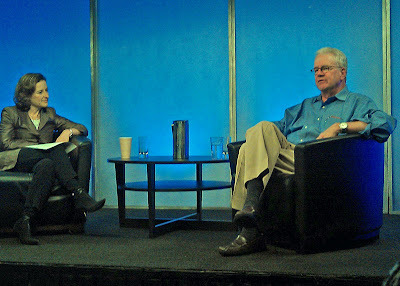 Geoffrey Moore said that a neutralization strategy is not celebrated enough in Silicon Valley, which values most highly the ability to innovate.